Teachers are prof. Jeff Bradetich, James Oesi, Andreas Bennetzen, Alex Bayer, Alexis Scharff & physiotherapist Angela Gebler. 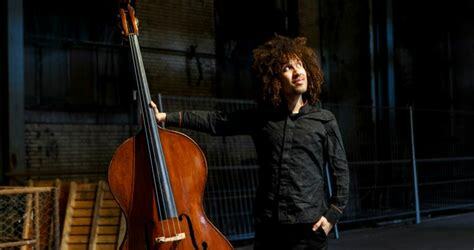 Double bass professor Jeff Bradetich teaches a master class every summer in Mittenwald together with Andreas Bennetzen. -Concerts, workshops and insight into the world of double bass making in company with famous double bass maker Michael Krahmer Pöllmann. How are you? I’m very happy here in Germany. It is a beautiful country with great people that are trying to help me very much. 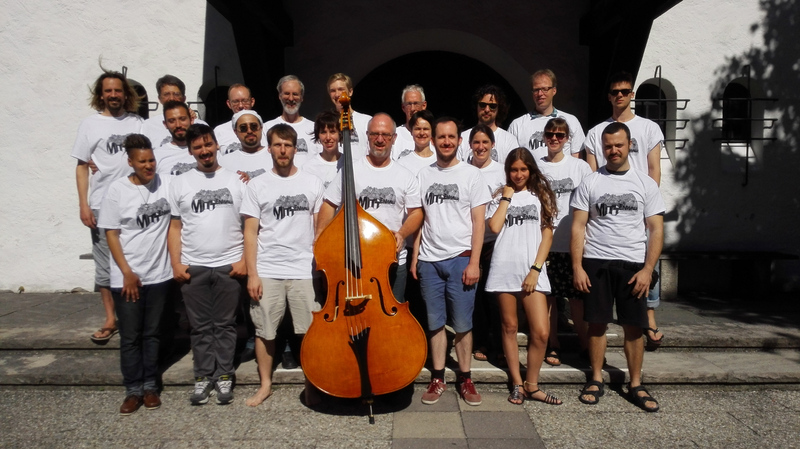 About your Bass Camp in Mittenwald, I was/am so happy! I’m practicing your method every day and I am improving so much an so fast that I’m incredibly amazed! I have a much bigger sound, I have a better control of both hands and of course of the vibrato, more precission, it has helped me use my head almost all the time… although I have so much information!! My double bass seems to be someone else’s instrument, it has a longer (from sul tasto to the bridge) range of sound… and I think I could continue for ages telling you!! I can play some of your exercices at a very fast speed and in many different tones! It was just what I was looking for as double bass technique. It is so similar to what I have discovered on cello playing and teaching that it makes me play double bass nearly at the same level as 25 years playing cello and 18 years teaching (since I was only 15)!! After the summer break I’m trying to look for a good teacher in this area. During the course you recommended me to write you and ask you. I live in Thüringen; near Weimar, Leipzig and Dresden. Do you know any double bassist in this area? I’m a little bit lost. What dou you think? Could you please help me? Well Jeff, THANK YOU VERY MUCH for all of your help. I hope you had a great time in Europe and that 2012/2013 is a fantastic school year at your University. This is what Michael from Germany had to say about the masterclass. I just wanted to tell you that I really liked your masterclass week in Mittenwald. As I came home and started practising again, I am doing your material, mostly in the thumb position and the shifting drills. And now I feel much better while playing the bass. I also was trying different sitting positions and now finally I am more or less with the one you do. For me and for the german bow I think its best with the bass quite vertical. And I really notice a big big change in my sound, more clear, more focused and more solistic. Also my collegues in our chamber orchestra noticed the difference or I think it more that is the first time they listened really to my playing because of this new sound. For this I want to thank you for sharing your method, your ideas and your musicality with us. Maybe you remember Jan from Sweden. Well, he liked my playing and I am going to Umea, North Sweden, to play with the orchestra as a sub for a week. He is principal there. Thats all for now, but I hope we stay in contact. I wish you all the best in the year 2018 and may it be the year full of dreams come true! I hope you remember me from masterclass in Mittenwald 2017. You asked me to let you know, if I could come to ‘The Pirastro string elite soloist program’ and I would like to let you know, that unfortunately this year I cannot come due to my Bachelor finals. I hope I’ll decide to go to the Sperger competition this year, so maybe we meet there. That would be nice. I was never intersted in competitions, but now I feel it’s time to experience that kind of thing, before I start playing auditions all over the place. I hope it’ll bring me much needed new connections and possibilities. Also, I would also like to tell you how my playing improved tremendously after masterclass in Mittenwald. My professor was shocked when he heard me play afterwards, didn’t know what to say. The way you approach technique is so simple, unique and I love it. It made me fall in love with the instrument one again, I’m really thankful for that! I know I wasn’t so opened minded on some things right away, but that’s how I am, I need time to understand and experiment, before I accept and implement it to my playing. I’m used to working like that with my professor. I hope it wasn’t too annoying.